This has the most obvious effect of doubling enemies’ HP, but it also increases other less-noticeable states, like Speed and some other stuff I can’t remember offhand. Basically, it makes them tougher AND a little more aggressive. I actually didn’t test it as much as I should have, so the difficulty curve isn’t as steep in the later chapters, but it’s still a neat little challenge. My hope with all these little extra inclusions was to give the fans more ways to enjoy the game. In terms of this hard mode, my goal was for players to fully master fighting tactics, use items in creative ways, and to just try and see new things they probably wouldn’t come across normally. 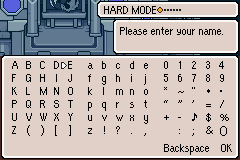 Anyway, if you haven’t tried Hard Mode yet, give it a play sometime! I had a lot of fun with it, and I hope it’ll give at least a little extra fun for the die-hard fans. I love you for giving me a plausible reason to play Mother 3 again. It is a little challenging at first, but when chapter 7 starts, the increased difficulty isn’t noticeable. It does have a couple of “that one boss” moments from that point on, but I wouldn’t mind seeing a harder Hard Mode. EmpoleMew I wonder if its different if you don’t start hard mode till chapter 4? I think it was a tad too easy… It was a bit challenging at first, but after about ch.7… just what empolemew said. I thought about doing the hard mode from a different angle, like making it so you only get half the experience or you can only level up to level 20 or something. But i didn’t have the time or energy left that would’ve been needed to test and polish such modes. Oh, man having a level limit of 20 would be so hard. Maybe by Chapter 7 the difficulty should double again? Hard Mode was difficult in the first few chapters, but after that it didn’t seem hard at all. I almost feel like I might have accidentally turned it off in Chapter 4, but I didn’t change anything at the naming screen, so it’s doubtful. I would say fix hard mode after Chapter 7. Make an extreme mode that triples enemy HP or something. Add a time trial mode or speedrun mode of some sort. The only bad part for me was the Pork Tank, and I think that was largely due to the fact that Salsa already has poor stats to begin with. I actually had to grind a bit before fighting it. Other than that I didn’t really have a problem, even though I could tell that the enemies stats and HP were boosted. I tried it about two weeks ago, I found it to be pretty difficult. I found myself relying on combos more when I played hard mode. Hey, I didn’t even know about this. Neato. Too bad I can’t allow myself to try it, as rhythm combos don’t work at all on the crappy emulator I’m playing it on, and the game’s difficult enough as it is when the best combo you pull off is 2 hits. I had played through all of Hard Mode. The difficulty felt much more believable the second time around. There were two boss fights that gave me an incredible challenge, specifically the Pork Tank in Chapter 3 and Miracle Fassad in Chapter 8, the latter which forced me to grind for a couple of hours in the sewers… thank god for that hot spring. I’d also say, if possible, that it would be fun to give the boss monsters certain attacks from other enemies that would make the battle harder. Like the NKC able to summon high ranking pigmasks. Why didn’t you try just using Salsa’s Mimic/ It may not be very useful, but you may get him to throw a cannonball, and each time that happens it cracks me up. Someone’s been doing challenges of Kumatora lv 1 New game + on youtube. I think he/she’s been able to even take down the masked man with her. I did use Mimic pretty much every turn. The problem was Salsa’s low HP. All I can say is thank God for PK Thunder. Nothing was hard after that fight, though. Last year I got a gold star on hardmode. He’s still not much of an attacker though. Wait, there’s a New Game Plus? I never knew that. Just start a new game and immediately save over the old one. For some reason some stuff carries over. I love hard mode. It’s a little unbalanced but I love level grinding, and since the other mother games are kinda easy (after 10+ years of playing) I really embrace hard mode and never play the game without it anymore! The toughest boss is probably the pork tank in chapter 3. That took like 5 levels of grinding. On a slightly quasi-related note, there’s an excellent “hard mode” type hack of Super Mario RPG called “Super Mario RPG Revolution” that is also quite wonderful (edited enemy stats, moves, skills, characters can level to 50 instead of just 30, etc.). I highly recommend it! why would you want a hard mode? Are there any other added secrets? I know there’s the L+R menu, anything else? What happens if you name yourself “HARD MODE” in Chapter 1, but then rename yourself a different name in Chapter 4? ^Hard Mode is turned off. ^Ah, I see. I thought so. Thank you very much. 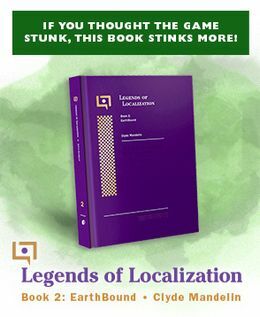 I want the MOther 3 Fan Translation But My Visual Boy advance won’t allow it! I have the original mother 3 and I synced it on my VBA but it still won’t let me get it! Am I doing something wrong? Maybe try making a difficulty called “Insane”. To enter Insane mode you’d have to name yourself “INSANE!” in Chapter 1. You get 1/2 the exp. ,Enemies have triple the health (except for bosses which have double the health) , and they do 1/3 more damage than usual. For the record, I use both VBA and VBA-M to play the Mother 3 fan translation (English) all the time. I have no problems whatsoever with either emulator, however I do feel VBA-M is a bit more consistent with the frame rate. Both need to be have Frame Rate Skip set to Zero for best results with the combo system. Needs to be harder than that. I suggest a Ultimate Chimera mode. Triple Health. Increase enemy stats by 1.5. Done. Heh, talk about perfect timing, I was just about to get to that in my translation notes and was wondering what would be good for a harder mode if I ever made one. -100% boost to all enemy hp. -10% further boost to boss hp. -25% stat boost to all enemies. -Severely reduced bonus for back attack on enemies. The exp boost was necessary to balance out the game and make the game a little less insane early on. You will now end the game around level 80. A few of the enemies have remained the same to prevent glitches. This is extremely hard and still takes a large amount of patience even with the exp boost. I’m trying to get the needle on Tanetane Island first in a Hard Mode run. Master Eddy seems nigh impossible to beat, but I will do it or die trying. Okay, forget Master Eddy. He’s a total pushover compared to the well-shielded, PSI-slinging, undying monstrosity that is the Barrier Trio. The fact that I’m not taking Kumatora or Duster just makes things one billion times worse. Also, Lucas and Boney are at level 53 each.